As you ought to know by now, Janson Beauty is always here to help promote diversity in the cosmetics industry and bring new, exciting beauty products into the Afro-Caribbean community. After all, beauty isn’t just for one hair type, skin type, look, style or age – it’s for everyone! But not only do we bring you great products for your hair and skin, we also want to bring you tips and tricks for your beauty routine. Here are just a couple of our top beauty tips to make you feel amazing and revolutionise your beauty regime! Yep, you read that right. Vaseline is one of beauty’s biggest secrets – this versatile essential is not only great for lips, but also as a face and body moisturiser. For a dewy makeup-free look, Vaseline has to be part of your beauty regime. Made of pure petroleum jelly, this unlikely product will seal in all the moisture to your skin without clogging your pores. Slather yourself up daily after showers and you’ll soon have gorgeous, soft skin. Vaseline has even released new products like body wash and spray moisturizer, so you can use it your way! 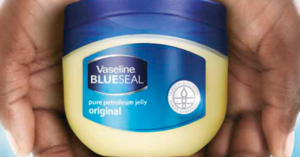 You can explore our Vaseline range at Janson Wholesale here! This is another long tradition in the black community. 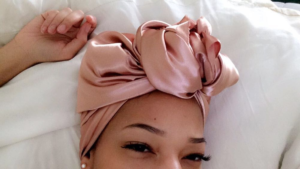 Wrap your hair in a silk scarf while you sleep to hold the moisture in your hair. If you don’t, you could wake up in the morning with dry, frizzy feeling hair. Rather than using a load of unnecessary products, simply slip on a silk scarf to wake up with healthy, naturally hydrated hair. Coconut oil is black natural hair and skins saving grace and has been for decades. 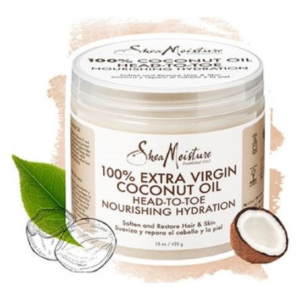 Using organic coconut oil makes curls easier to manage, smell amazing and make your hair oh so soft, as well as being a fantastic makeup remover which is gentle on the skin. For some women, it’s even proved to be a great way to manage acne! Whatever you use it for, coconut oil is essential for your bathroom and will save you on bad hair days every time. Stock up on organic coconut oil from Janson Wholesale here – we recommend Shea Moisture, Tropical Sun or Queen Helene, but have a browse! So much of caring for natural, coarse or curly hair is about keeping it hydrated. As surprising as it sounds, washing your hair in hot water can cause more harm than good for your hair, which is a shame coz we all love hot showers…! Even so, it’ll be better for your hair to avoid piping hot water as it dries out the hair and strips away moisture. Instead, opt for warm to cool water which will still clean them just as well while being more gentle on the hair, keeping it healthy, shiny and hydrated. A lot of black girls complain about uneven skin complexion. This can be solved by using a gentle exfoliating product to get rid of dead cells and reinvigorate the skin so it looks bright and fresh. 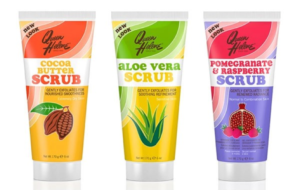 We’d recommend Queen Helen’s Aloe Vera Scrub, Cocoa Butter Scrub or Raspberry and Pomegranate Scrub, which both gently exfoliate for smooth, clear skin, so you’ll glow every day! But we have plenty of products on the site – have a browse and find what’s best for your skin!